Realmuto is considered one of the best catcher in the Major League Baseball at the moment and was put up for trade since the offseason began in 2018. 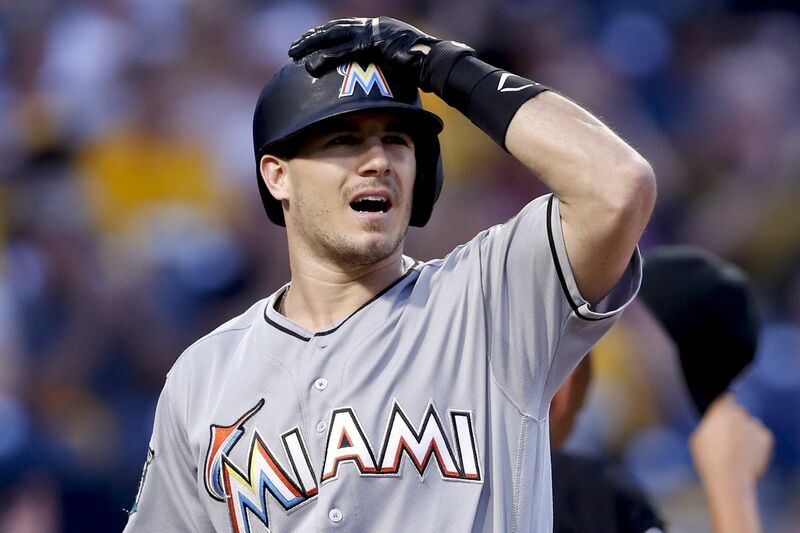 After Realmuto notched the go-ahead single in a Marlins victory over the Nationals last season, Harper declared, "If we had that guy, we would have won". Some have called Realmuto the best catcher in baseball, and by some measures in 2018, he was that, producing the top WAR among catchers, according to Fangraphs. Realmuto voiced his displeasure for Jeter's dismantling of the team, where he asked to be traded before Spring Training last season. Sanchez was the Phils' top SP prospect and now immediately tops the chart for the Marlins. He and the front office met before Spring Training, discussing options for the upcoming season, asking him to buy into the new plan for the organization. He smashed 21 home runs to go along with 74 runs batted in and a.277 average. Losing him creates a void at the plate and defensively, while the Marlins still develop a youthful pitching staff that has many question marks heading into camp next week. They were initially said to be targeting a move for Machado whom they met at Citizens Bank Park during his three-city tour in December, but their focus is now said to have shifted toward right-fielder Harper after their face-to-face meeting with him in January. From the Dodgers, Miami wanted first baseman/outfielder Cody Bellinger. While he has not pitched above the High-A minors, the Dominican right-hander is just 20. The Rays had outfield prospects it could part with. He hit.262 with 10 homers in his first full major league season a year ago. Sanchez is the most well-regarded prospect in the deal, a 6-foot right-hander whose fastball sits in the high 90s and tops out over 100 miles per hour. Alfaro, 25, is a power-hitting, cannon-armed catcher who will join a young group in Miami. Isan Diaz figures to be a utility infielder while Jordan Yamamoto looks more promising after a strong showing in the Arizona Fall League (3-0, 2.08 ERA, 1.07 WHIP in six starts).